Belif Aqua Bomb is a gel-based moisturizer which claims to deliver an instant burst of moisture to the skin. The formula feels cooling and soothing on the skin, and applying it really does feel like I am drenching my skin with water - not like splashing water on but like my skin just drank up a big glass of water. To use, I dot on a generous amount of moisturizer on my face and spread it over the skin. It feels like a watery gel, and unlike oily creams, I prefer to press the product into my skin rather than massaging the product in. Depending on how much you apply, Aqua Bomb leaves skin instantly hydrated and slightly shiny looking. It's not greasy at all, but the shine can be mistaken for a greasy look if you aren't used to it. The hydration level that this moisturizer provides is amazing - I have used it during long-haul flights to and from India (reapplying about every 6 hours), and my skin looked so fresh and healthy all the time. For me, that's nothing short of a miracle! Belif does suggest that this can be used as an emergency face mask, applying a thick layer and wiping off any excess after 5 minutes, and going by my experience with it, I have to agree it works wonderfully. 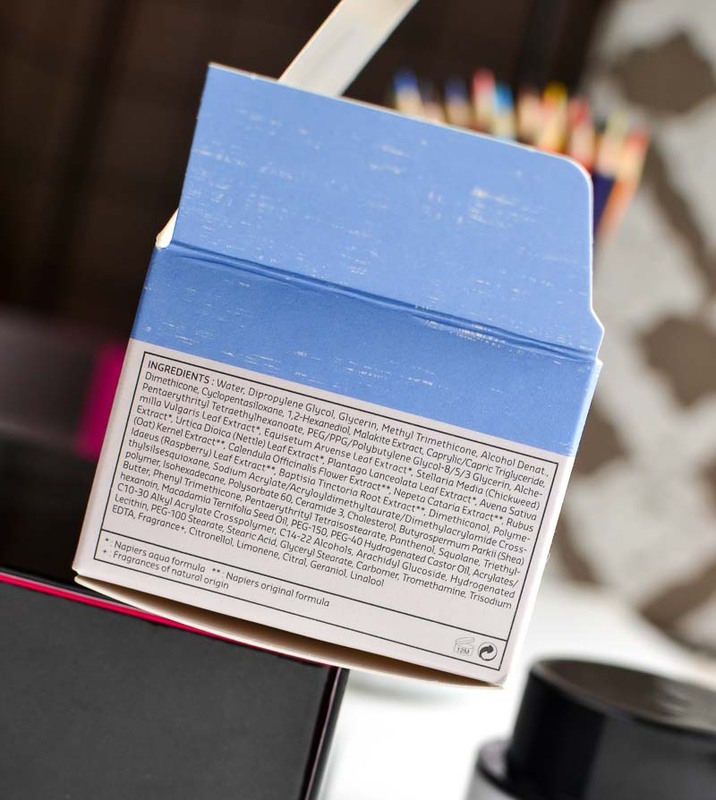 The only downside to it is a strong smell to the product. It's not really unpleasant, and it smells like some essential oil or extract, but it might be something to keep in mind if you have a sensitive nose. I have been using this moisturizer for a long time now and have gotten quite used to it. I have oily-combination skin and get dry patches on my skin whenever it gets dry (or if not exfoliated often enough). Using a heavy, oily moisturizer or cream doesn't work because my skin needs hydration, not extra oil. Oil-free gels usually do nothing for my skin, and my skin gets breakouts and roughness because it tries to overcompensate for the lack of moisture. 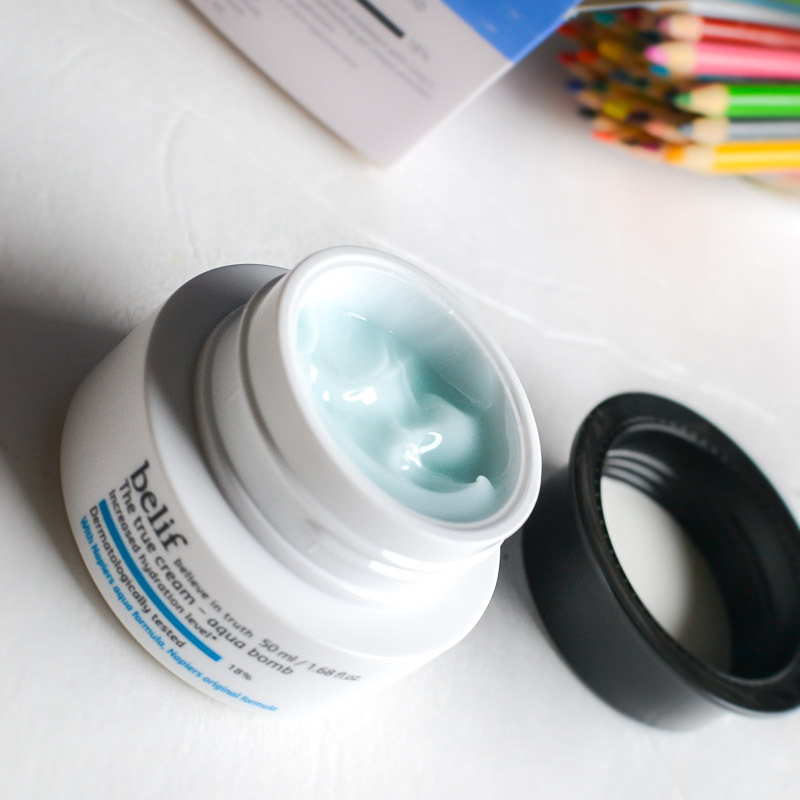 For anyone with skin issues like mine, Belif The True Cream Aqua Bomb is definitely worth giving a try. The gel-cream formula delivers instant moisture and keeps skin hydrated all day long. 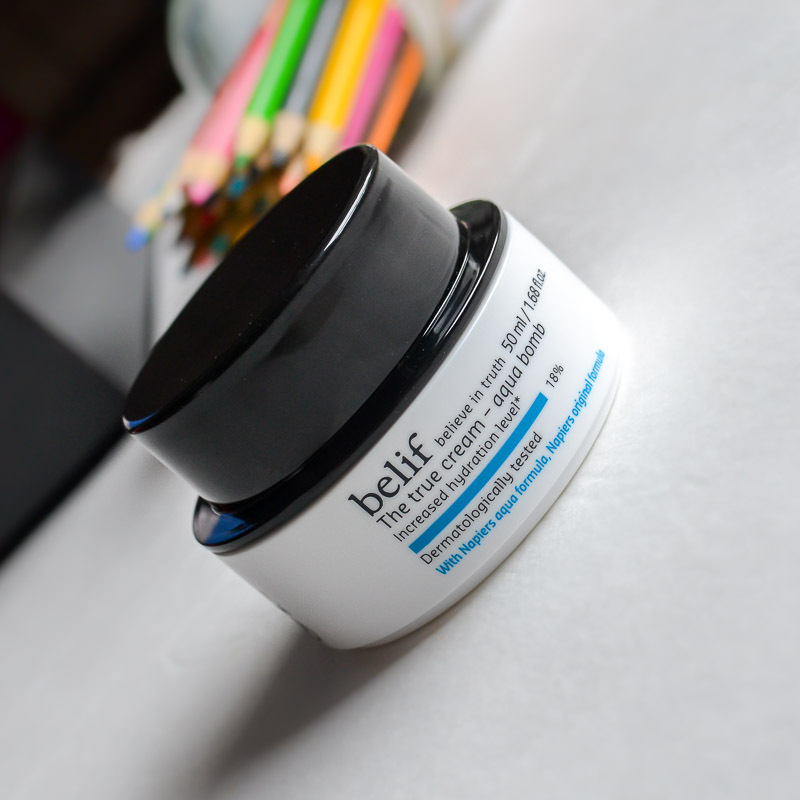 I have also tried the Belif Moisturizing Bomb, and I find it more oily and less hydrating than the Aqua Bomb. While I do keep samples of it around (mostly because a deluxe sample is almost always available with a Sephora purchase), I do think it might be a better pick for those with dry skin.